When you think “underwater archeology,” it’s likely the recent discovery of Cleopatra’s sunken palace that comes to mind. 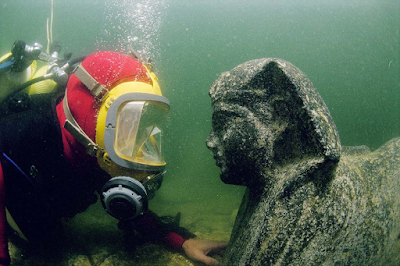 The underwater ruins hold many unique artifacts of Egypt’s last Pharoah, and arguably most famous queen. This includes two perfectly formed sphinxes, several giant columns – 7 meters in length, small boats, jewelry, and pieces of what some believe to be the fabled Lighthouse of Alexandria. The site was first discovered in 1990 by French archaeologist Franck Goddio. This was 17 years ago. While 17 years may not seem very recent in the Age of Internet, it’s practically yesterday when you consider that the ruins have been down there for nearly 2,000 years. Although this particular palace was described in detail by Greek geographers and historians, lack of evidence led many to believe that its existence was a myth. What’s so Interesting about Cleopatra’s Temple? You may be wondering why this matters. We already know Cleopatra existed, and now we found a few more parts of the story. So what’s the big deal? So we had written records of this place, yet we chose not to believe it because we couldn’t find it. Not for 1,600 years anyway. And where did we end up finding it? Under 5 meters of water. Five meters is about as tall as a giraffe. Compared to the ocean, you're not so tall, are you? Why should we care about Underwater Archaeology? So why haven’t we found more things underwater? It’s really not as simple as just taking a walk on the beach and finding a city. While I’m a firm believer that there are entire cities literally off the coast, underwater archaeology takes a tremendous amount of planning skill and funding. And what’s the point of this article? Written history may not be myth – just because we haven’t found it yet. The deeper underwater something is, the older it is. If we’re really interested in our past, we won’t find it on land. Aside from “U,” the word underwater is typed completely with your left hand. It’s very tiring. Want to dive this along with many other sites related to Egyptian history. 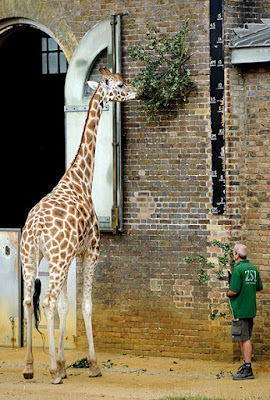 question: Cleo's palace at the reach of a giraffe. If in international waters, finders claimers.